I will present the paper „Disrupting Screen-Based Interaction – Design Principles of Mixed Reality Displays“ at the Conference Culture and Computer Science taking place at May 18-19, 2017 at Bode-Museum, Berlin. 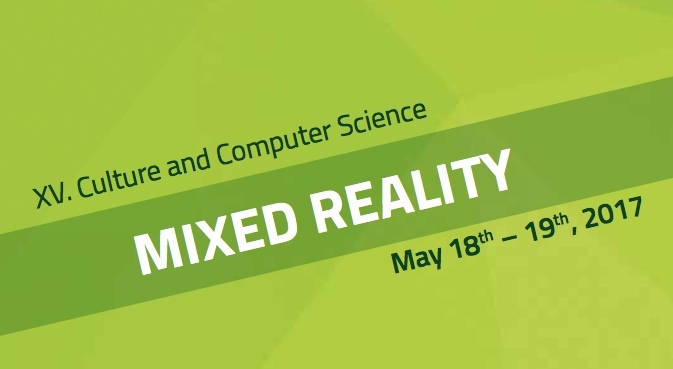 The 15th edition of the ”Culture and Computer Science“ conference series focuses on best practice examples, challenges and future trends of mixed reality as a strategy to bring the world of data and information and the world of objects and things into even closer contact. Abstract: Transparent display technology fundamentally challenges the concept of the screen: it turns viewing first and foremost into using. Transparent media presents users with a complex ensemble of imaging techniques and visual information that is embedded into their action routines, viewing habits and working processes. It shifts the focus from the analysis of visual elements on screen to the iterative interplay of structures and processes in front of and behind the screen. In order to show the associated transformation of design and interaction principles, the paper suggest three elementary conditions to be taken into account when designing transparent media technology: a) the position of the screen, b) the point of view of the user and c) the augmentation of objects.